A connection with a horse led Jessica Groen to serve her country. 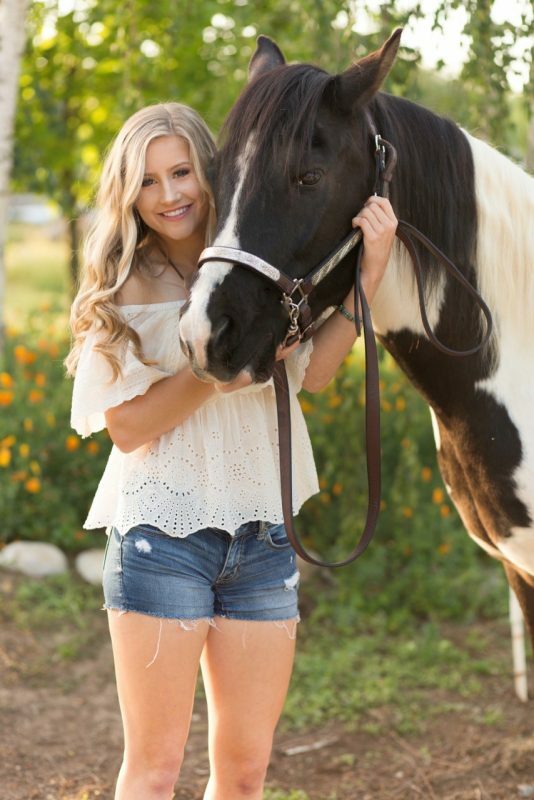 The horse, a tri-colored pinto named Color Me Lucky, or Lucky, proved to be the luck Jessica needed, and played a pivotal role in her quest to “Aim High” at the United States Air Force Academy. 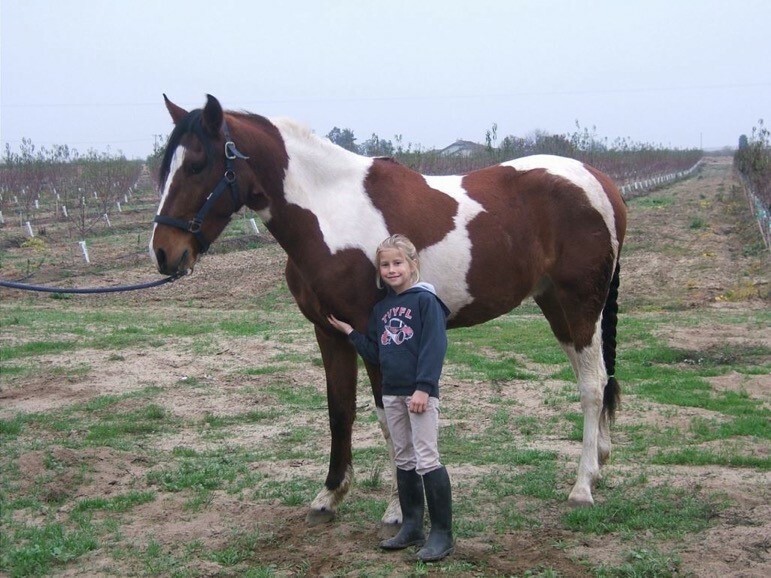 Jessica, with her hand on Lucky’s chest, before he left her farm. Her mom, Aimee, took a photo of that day, with Jessica’s hand on Lucky’s heart. The framed photo hung in Jessica’s room, and she continued to pray for his strength after he was gone. The horse’s new owners, Jaime and Val Navarro, learned of Jessica’s story and kept in touch with Aimee over the years hoping to ease her daughter’s pain. 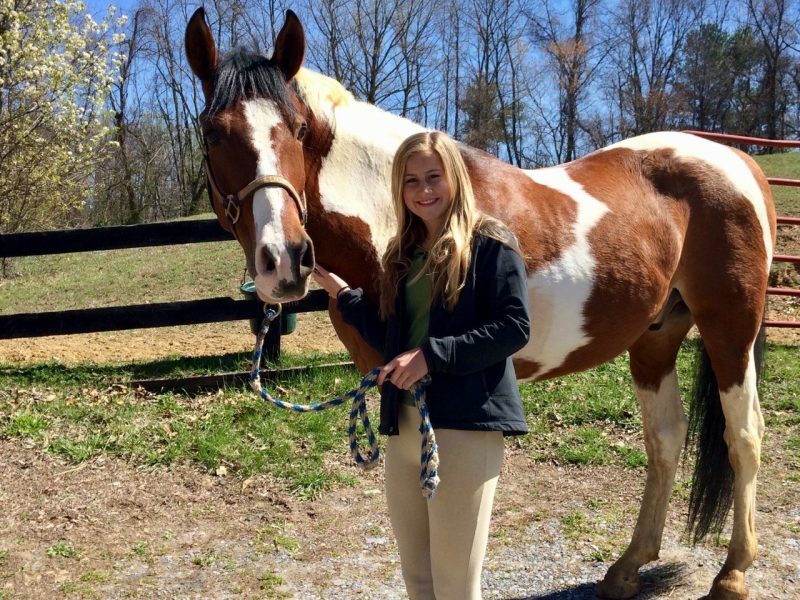 They updated her and shared photos of Lucky’s diverse pursuits including Western, hunter-jumper and dressage shows and trail riding in Maryland. Coast to coast, the families became friends through their mutual equine connection. Jessica met Lucky 10 years later — and posed for another photo with her hand on his chest. One would not suspect soft-spoken, 5’4” Jessica to be the fierce competitor she is. With a slight frame and long blond hair, she looks more like the homecoming queen she was than a star athlete. She led her high school’s varsity soccer team for two years as co-captain. She held her high school’s 1600-meter and 3200-meter track and field records. She played varsity volleyball and competed in local club sports. She rode horses. She thrived on physical activity. When the Groens returned home, they began the lengthy service academy admissions process. They listened to Jaime, a 1981 Naval Academy graduate, who advised them to apply to more than one academy. They worked with the Navarros, both retired Navy captains, throughout the process. Most potential academy candidates had been preparing their applications and seeking Congressional nominations for years. Jessica had months to do the same. Jessica understood the daunting odds of being accepted at a service academy, and especially making the collegiate soccer team. 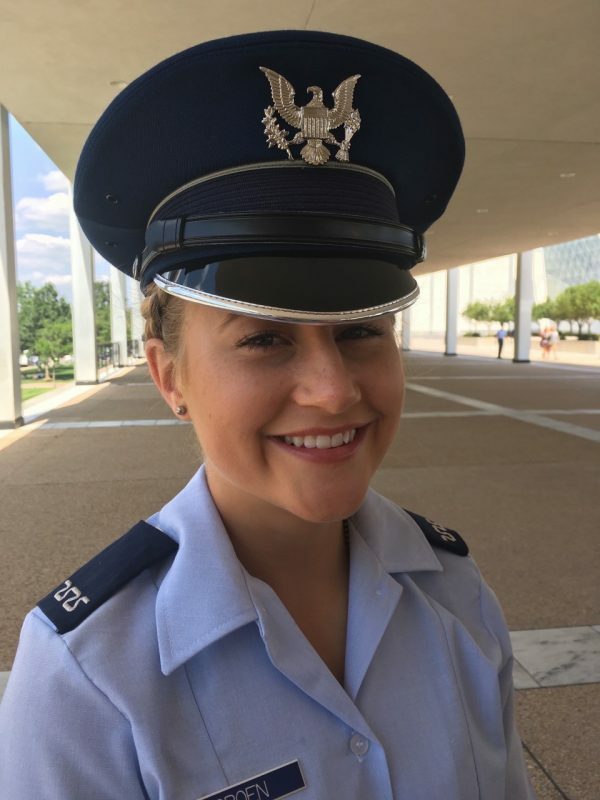 She attended both Naval and Air Force Academy soccer camps knowing that of the hundreds of viable players, the coaches would pick less than 10. But she never gave up. Jessica found that her life with horses helped her face the rigorous physical demands of the Air Force. 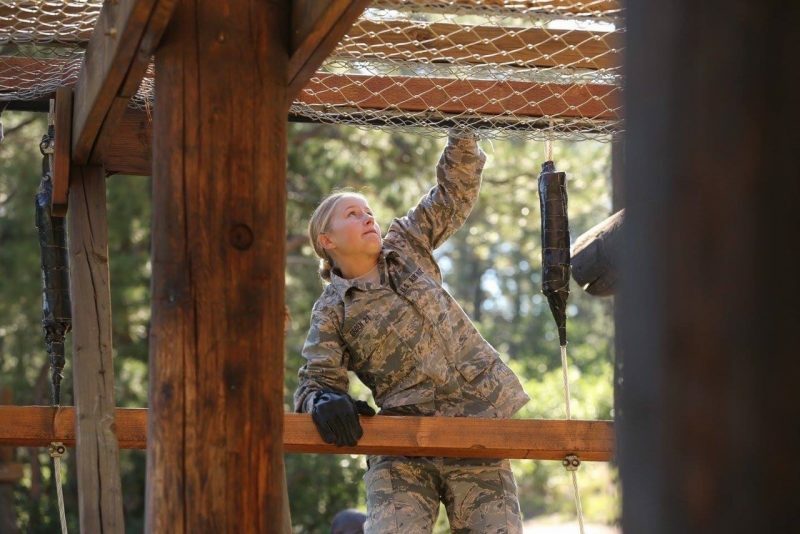 A combination of the Air Force coach’s enthusiasm in Jessica’s talent and her outstanding academic and student leadership record landed her a coveted slot at the U.S. Air Force Academy in Colorado Springs, Colorado. She became one of the 1,216 cadets selected out of 10,202 applicants for the Class of 2021 and secured a free education valued at $400,000. 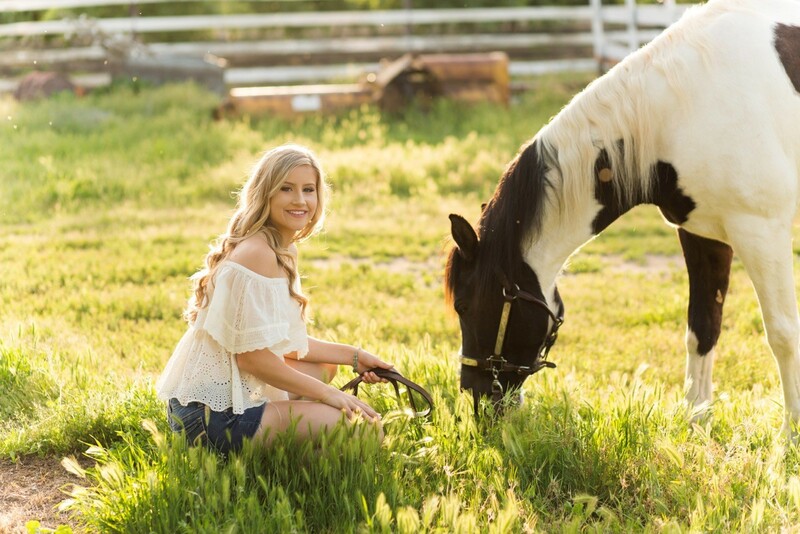 Horses and farm life helped prepare Jessica for the challenges she would face ahead. 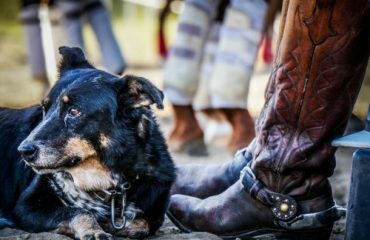 A 10-year 4-H member and volunteer at her family’s Triple H Youth Ranch program, she understood hard work. She also took care of her own horse, Ali, a black and white half-Arabian, pinto. She competed with Ali in local shows until she left for Colorado and now appreciates down time with him when she’s home. “One of the first lessons learned in horseback riding is when you fall or get bucked off, it’s so important, if you aren’t injured, to get right back up in that saddle,” she said. “It’s crucial for your confidence and development as a rider. Although, there are a few things a face full of dirt can teach from time to time. Jessica succeeded in her first tough year. The freshman year is the most difficult of the four due to the extended indoctrination period, rigorous physical and mental demands and the newness of it all. She was 18. It was 10 years after she’d watched the horse hauled away who would end up steering her on her current path.